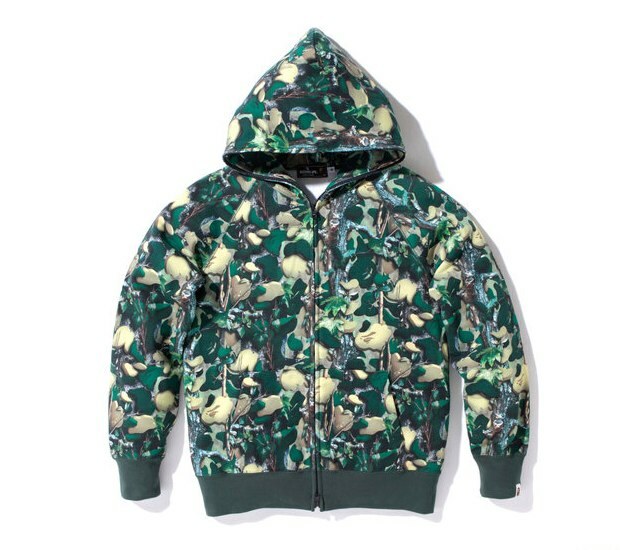 This weekend Bape dropped it’s brand new camo print called Village Camo, yet another print to add to the many that have come before. 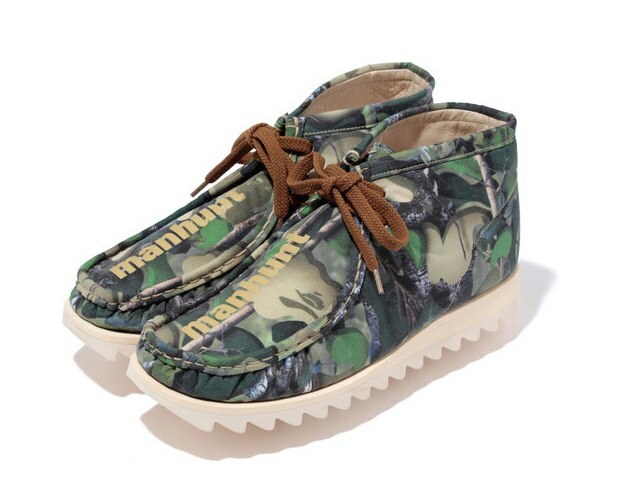 The collection is a small but varied, consisting t shirts, a full zip hood, phone case and wallet and finally footwear in the form of Bape’s Man hunt boot. 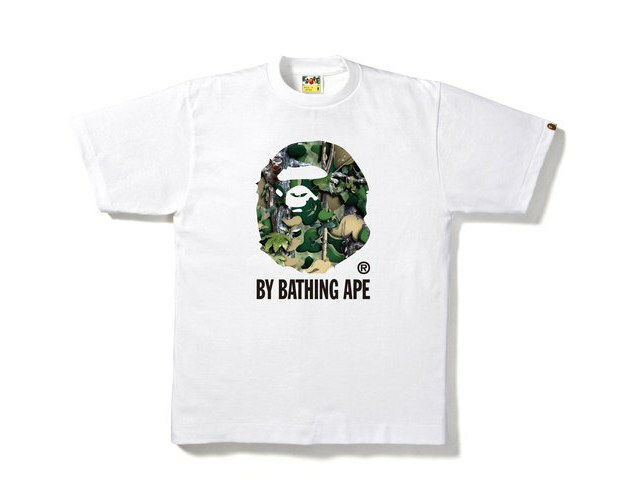 Pretty much all you need to be maxed out in Bape. No wild colour ways seen here, just straight up greens and blacks, what camo should be. The tee’s come in a simple black and a white with the ever familiar large ape head. 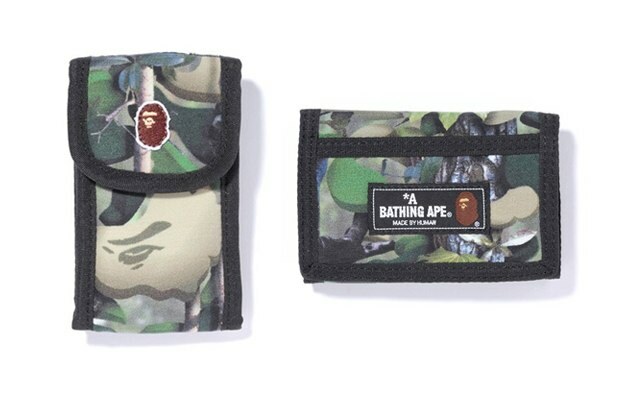 Yet another decent drop to keep the die hard Bape heads kitted out in that freshness. 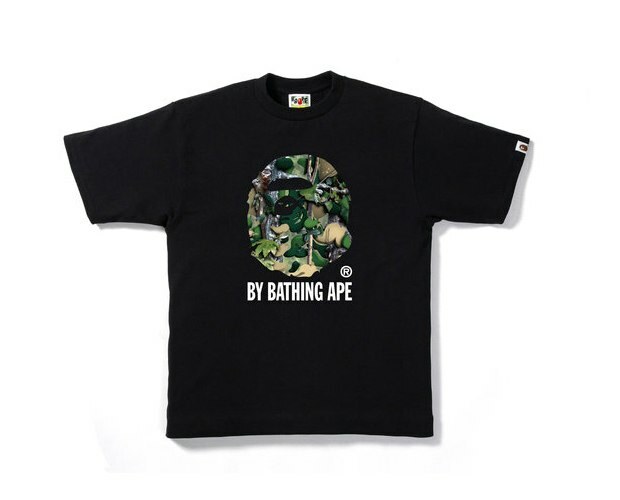 Available now from the Bape store, London as well as the recently launched (last few months) Bape EU web store. All info of which can be found right here.